This exhibition features a selection of extraordinary, first-edition artworks created for The Birds of America and published by renowned American artist and naturalist John James Audubon (1785-1851). Known as the “Double-Elephant Folio” due to its large size, The Birds of America took over a decade to be printed and hand-colored between 1826 and 1838. Upon completion, it comprised 435 life-size portraits of North American birds, published as fine art prints combining etching, engraving, aquatint, and hand coloring to faithfully reproduce Audubon’s original paintings. Today, The Birds of America is the most celebrated work of American ornithology. Born in 1785 in present-day Haiti, Audubon was the illegitimate son of a French sea captain and landowner and his mistress. At the age of three, Audubon, then named Jean Rabine, was brought by his father to Nantes, France, where he was given a loving home by Jean Audubon’s wife. Officially adopted by his father and stepmother and given the name Jean Jacques Fougère Audubon, the young boy received the rudimentary education typically afforded the son of a French naval officer, including lessons in fencing, riding, music, and drawing. When he turned eighteen, his parents changed his name yet again, this time anglicizing it to John James Audubon to help their son dodge Napoleon's draft and prepare him for the life they had arranged for him in the United States, at Mill Grove, Pennsylvania, their 200-acre investment property purchased fourteen years earlier for its lead mine. At Mill Grove, Audubon became fascinated with the natural world, particularly with birds—their behaviors, plumage, nests, eggs, and habitats. In order to closely observe and draw his subjects, he would often hunt and shoot birds, then carefully position them as models for drawings. 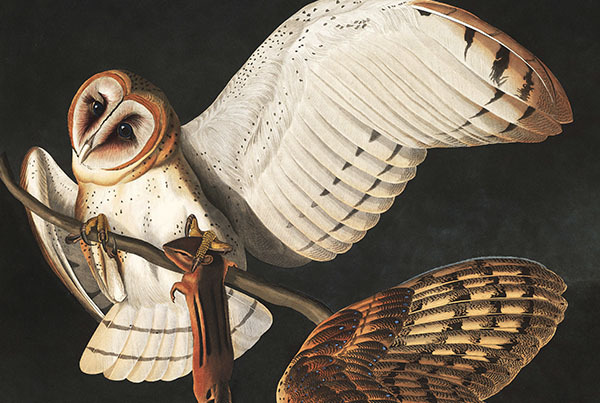 With time, Audubon developed a technique of using wires, pins, and threads to hold the specimens in life-like poses in order to portray them more accurately and more convincingly than had ever before been accomplished. 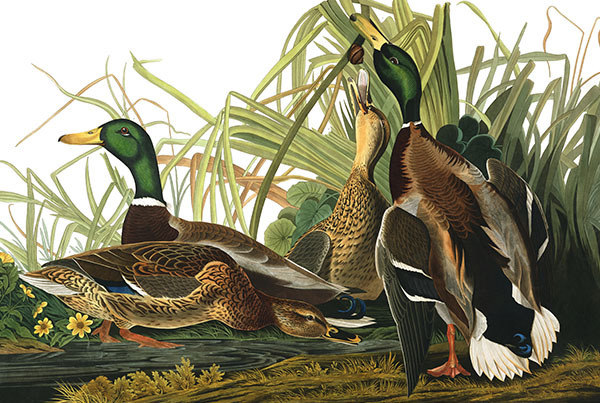 In 1820, with little more than art supplies, a gun, and a young assistant, Audubon set out down the Ohio River to discover and paint American birds. Using watercolors, pastels, and various other media to create dramatic, life-size portraits of birds in their natural settings, Audubon depicted individual physical characteristics, as well as behaviors, habitats, food sources, and predators. This remarkable undertaking ultimately resulted in over 1,000 paintings documenting more than 450 species of birds. In 1826 Audubon partnered with the accomplished Scottish printer William H. Lizars to bring his paintings to market as prints. But this relationship was short-lived due to a strike by colorists. When word of the strike reached Audubon in London, he approached Robert Havell, Sr., a reputable printer who was about to retire. Havell accepted Audubon’s project but only on the condition that his son, Robert Havell, Jr., be the one to incise the copper printing plates and oversee production. The rest is history. Titled The Birds of America, under 200 full sets are thought to have been printed and published in Audubon’s lifetime. 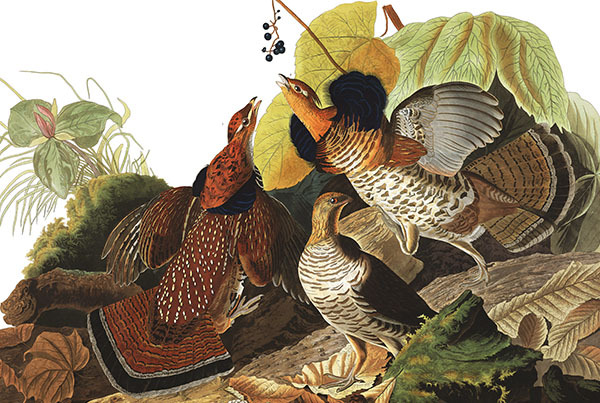 The rarity and extraordinary quality of workmanship of the prints, as well as Audubon’s unprecedented animated style and passionate devotion to his subject, have contributed to a seemingly insatiable demand among collectors and have established these masterworks among the most admired wildlife imagery in the world. Featuring loans from major collections including the John James Audubon’s historic homestead at Mill Grove, the Milwaukee Public Library Rare Books Collection, the Bell Museum of Natural History at the University of Minnesota, Joel Oppenheimer, Ltd., and the Peggy Notebaert Nature Museum of Chicago, the exhibition is organized by the Paine and curated by David J. Wagner, Ph.D., a distinguished author and curator from Milwaukee, Wisconsin. On Wednesdays, admission for Seniors (age 65 and older) and Students (with valid I.D.) is $5. Join as a Member now and receive free admission to the Audubon exhibition as well as benefits for an entire year. The Paine is located at 1410 Algoma Boulevard in Oshkosh, Wisconsin. Visitors may park along the street on Algoma Boulevard and Congress Avenue or may use the Paine's parking lot on Elmwood Avenue. An accessible parking space and a drop-off space are available next to the mansion and can be accessed by entering the property's driveway on Algoma Boulevard. Photography of the Audubon's Birds of America exhibition is not allowed. Photography of the Paine mansion and gardens is allowed. Professional photography indoors and outdoors is by permit only. The Paine has a full calendar of events and educational programs planned to complement the Audubon exhibition. Enjoy an afternoon tea in the Paine’s Conservatory before touring the Audubon exhibition in the mansion. Tea & Tours are offered July 21 and September 15.